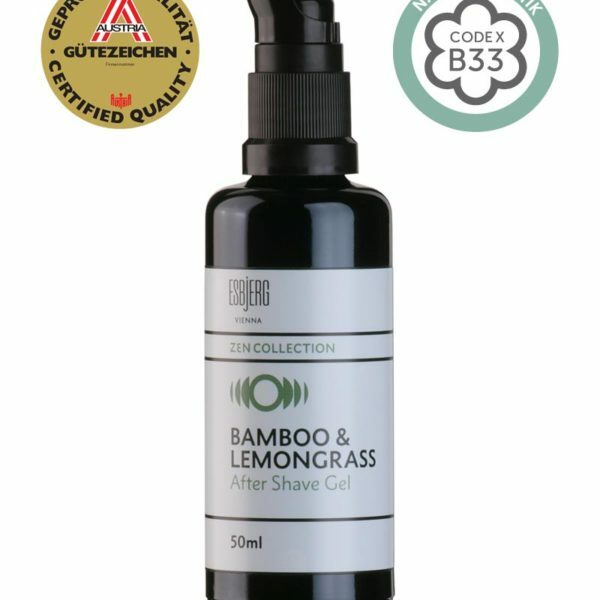 The vegan After Shave Gel Bamboo Lemongrass of the ZEN Collection of ESBjERG wakes latent energies hidden in the body. 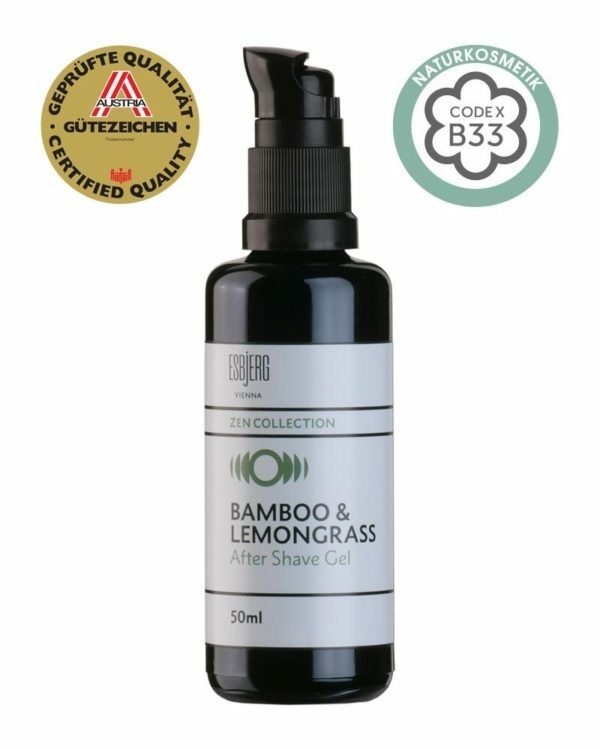 The herbaceous-floral notes of bamboo, enriched with the aromatic freshness of lemongrass result in a woody and overall revitalizing sent composition. Smoothing, relaxing, antioxidant properties: Highly dosed biological aloe vera essence (30%) forms the base for a wonderful skin-protector with a tightening effect. In connection with tiger grass, allantoin and glycerin, the recipe works into the depths of the skin and accelerates the healing process of cells. The quickly-absorbable gel is smoothing and cools before and after shaving. As a pre-shave, the gel helps the blades glide more easily, softens the beard hair and makes for a thorough shave. Can be used on a daily basis, as well as a vitalizer against tired or stressed skin.